We are at that great time of year again where many of us will be spending more time with our friends and family eating and drinking to excess. This is when some of us would like to lose those few extra pounds and with modern technology there are now more ways to get help achieving this, so today we have some fitness apps for the iPhone and Android to help with those holiday excesses. First up for iOS users is the recently updated and free Fleetly Fitness application that helps users to train to be the next Ironman or just help getting off the sofa. Users will discover new exercises and workouts via the professionally written descriptions and videos, and a custom Workout Generator can be used to get a personalized workout tailored for the users fitness goals, equipment, and time. The app helps you track your progress towards your goals and you can even join a workout challenge or build your own and invite your friends to join, and to find out more or to download hit the App Store. Another free iOS app we have for you is the Fitness Point – Workout & Exercise Journal, which includes seventy exercises built into the app that have detailed descriptions and animations. Users have the option of purchasing a further 200 exercises, and the app has recently been updated to include new workouts such as the Ultimate Fat Burner and HST plan, and again this can be found on the App Store. Fitness4.me is available free on the App Store and promises users help in staying fit with some ten minute workouts that can be done anywhere and anytime. 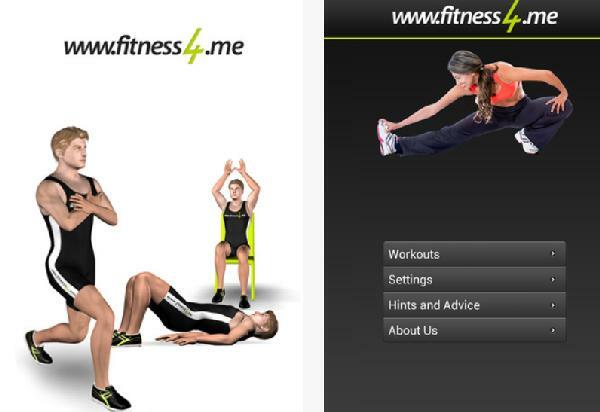 Users are guided through the workouts and the exercises are stored locally onto the device so an Internet connection is only needed when first downloading them. VirtuaGym Fitness Home & Gym is a free Android application that has workouts for the home and gym that features clear 3D demonstrations and exercise instructions. To find out more or to download head over to Google Play. Another free Android application we have for you is Daily Ab Workout that will help you strengthen and tone your abs with some 5 to 10 minute ab routines for men and women. The exercises are demonstrated by a certified personal trainer that work on all major abdominal muscles, and head over to Google Play to download and find out more. Health consciousness is the demand and need of this high tech fast growing world. Health Apps of android and iphones are really benificial to be healthier and also becoming a truly time saver .